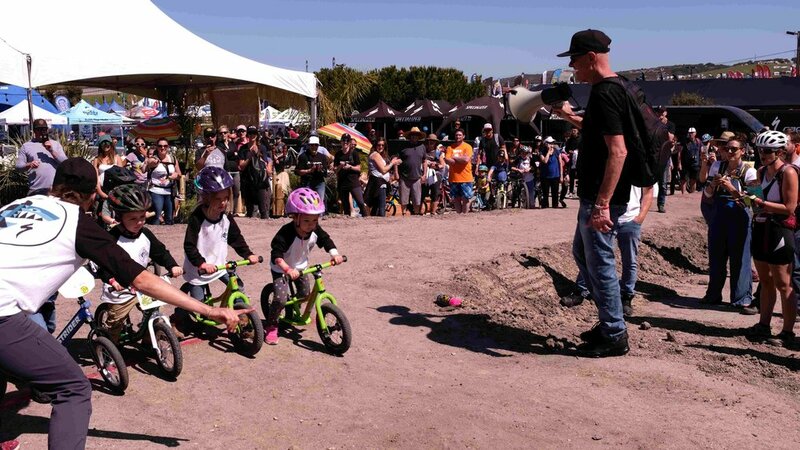 Thanks to our Buddy Pegs friends who brought The Specialized Foundation along for the ride at Sea Otter to help sponsor their Scavenger Hunt for kids. Of course, we had the letter “S” in the hunt to spell out SEA OTTER. Mike Sinyard, Founder and President of Specialized Calling the Kids Race and Spotting Future Talent! Kids had a blast—we did too. The Specialized Foundation CEO Ted Theocheung was also interviewed on site at the Buddy Peg podcast booth—and to top it all off, proceeds from their book sales—B is for Bicycles and Taking the Lead Together were donated to the Specialized Foundation. A huge shout out to Buddy Pegs for the support. Listen-up here! Stay connected and sign up for the Riding for Focus news blog.